5 Responses to "Obama Wins! Democrats in Tulsa"
The US Presidential election campaign has opened a new chapter for US imperialism. The overwhelming opposition to the policies of the Bush regime and the onset of a deep and serious recession has seen a mass demand for ‘change’. 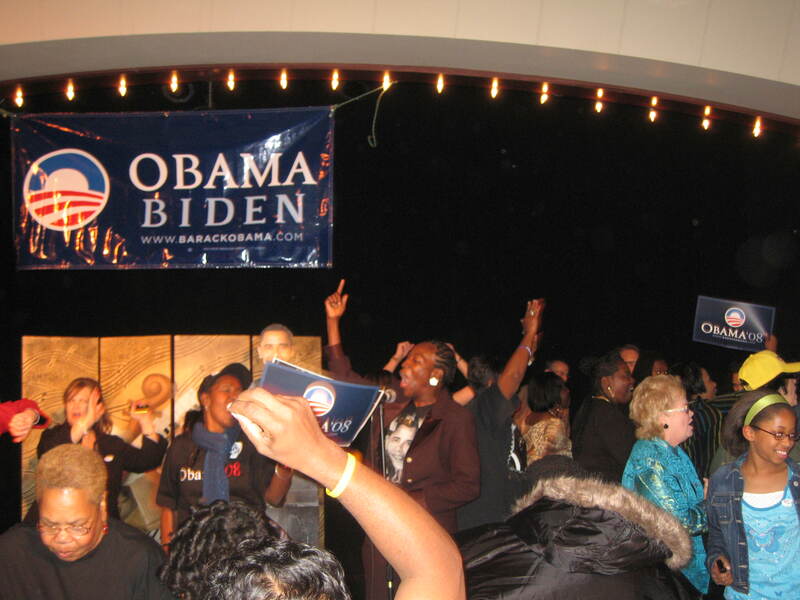 Massive enthusiasm and high expectations have been aroused, especially among young people and Afro-Americans in the Democratic candidate, Barak Obama. The enthusiasm and hopes of what his presidency will mean goes beyond the USA. In poll after poll in Europe, Latin America, Asia and Africa, Obama is by far the favoured candidate. While the outcome of the election to the Congress and scale of the Democrat majority, especially in the House of Representatives, will be important factors in determining what Obama actually does in some spheres of US intervention, one thing is clear: Obama is coming to power in an entirely different world situation than when Bush and the neo-cons took power in 2000. The question of US foreign policy in the post-Bush era is being posed sharply. Thanks Tricia for your excellent on the ground coverage! the richest man or ………………..
i can’t believe i’m tearing.